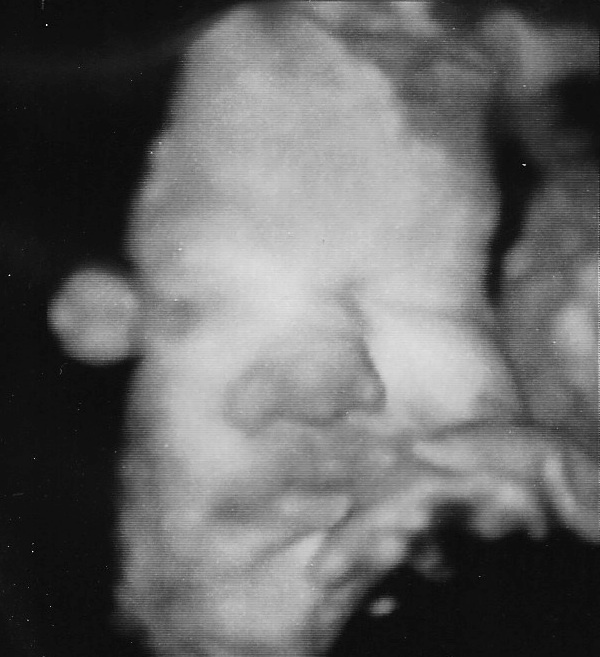 A couple of weeks ago, we got another look at this little guy- it looks like he's got some full lips and chubby cheeks going on. (Does he bear a resemblance to the sleeping baby on the right?) The ultrasound technician commented on his full head of hair! I'm hangin' in there as the last couple of weeks approach. Despite his cramped quarters, baby boy is still rambunctious as ever, especially in the evenings. I feel like my internal organs have taken a beating. I can't wait for the indigestion to go away so I can eat like a normal person again. If you ask my how I am doing, I will tell you, "I have felt sick to my stomach every day since Easter weekend." As in the Easter weekend in April... 7 months ago. 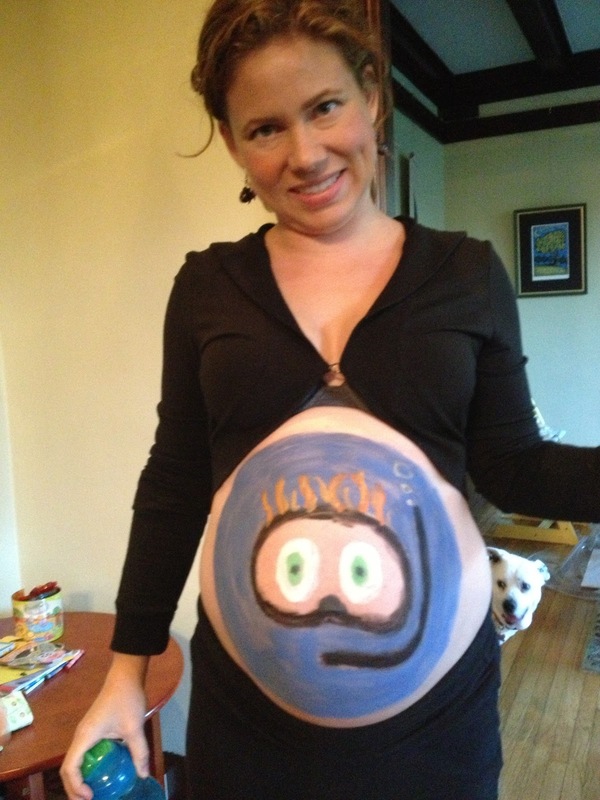 Jason painted my belly with a picture of scuba baby for Halloween (does that dog head make my belly look big?). 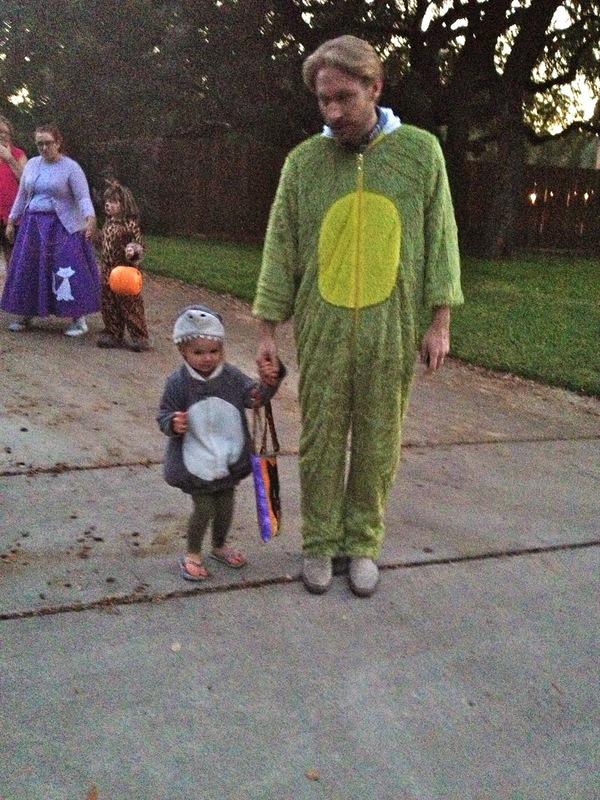 Isla was a shark, but wasn't that into Halloween this year. Her daily hang-ups and control issues regarding clothing selection made costume-wearing difficult. In other news, Isla has all her shark teeth- that last 2 year molar on the top right finally made it way through. That means, no more teething-related crabbiness! Only regular 2 year old just-for-no-reason crabbiness. She is very excited for baby brother to arrive and talks about how he's going to hold onto her finger with his little hand. 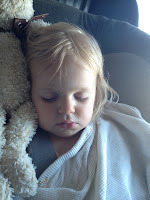 Reinforcements are arriving tomorrow- Grandma Lontai is coming for baby time back up. 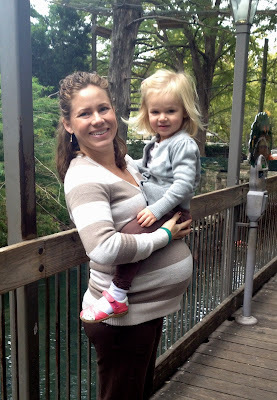 But today, Isla and I made one last trip to the zoo, just the two of us. She noted the tiny fishies in the hippo tank and said "they're so cute." Which made me remember the first time she signed "fish." Here's Isla, sitting on top of her brother.